[It isn't…] trivial to figure out the best legal mecahnisms for making the intellectual property and even the code available to the ecosystem. Lawyers are needed, and it takes a while. But I can guarantee everyone that I have zero intention of hoarding Minimal Disclosure Tokens or turning U-Prove into a proprietary Microsoft technology silo. Microsoft is opening up the entire foundation of the U-Prove intellectual property by way of a cryptographic specification published under the Microsoft Open Specification Promise (OSP). Microsoft is donating two reference SDKs in source code (a C# and a Java version) under a liberal free software license (BSD); the objective here is to enable the broadest audience of commercial and open source software developers to implement the technology in any way they see fit. Microsoft is releasing a public Community Technology Preview (CTP) of the integration of the U-Prove technology (as per the crypto spec) with Microsoft’s identity platform technologies (Active Directory Federation Services 2.0, Windows Identity Foundation, and Windows CardSpace v2). As part of the CTP, Microsoft is releasing a second specification (also under the OSP) that specifies the integration of the U-Prove technology into so-called “identity selectors” using WS-Trust and information cards. I really want to thank Stefan Brands, Christian Paquin, and Greg Thompson for what they've done for the Internet in bringing this work to its present state. Open source availability is tremendously important. So is the achievement of integrating U-Prove with Microsoft's metasystem components so as to show that this is real, usable technology – not some far-off dream. At RSA, Scott Charney showed a 4-minute video made with the Fraunhofer FOKUS Institute in Germany that demonstrates interoperability with the German eID card system (scheduled to begin rolling out in November 2010). The video demonstrates how the integration of the U-Prove technology can offer citizens (students, in this case) the ability to minimally disclose authoritative personal information. There is also a 20-minute video that explains the benefits of integrating the U-Prove technology into online identity management frameworks. The U-Prove code, whitepaper and specifications, along with the modules that extend ADFS V2, WIF and CardSpace to support the technology, are available here. Earlier this week I presented the Identity Keynote at the Microsoft Professional Developers Conference (PDC) in LA. The slide deck is here, and the video is here. After announcing the release of the Windows Identity Foundation (WIF) as an Extension to .NET, I brought forward three architect/engineers to discuss how claims had helped them solve their development problems. I chose these particular guests because I wanted the developer audience to be able to benefit from the insights they had previously shared with me about the advantages – and challenges – of adopting the claims based model. Each guest talks about the approach he took and the lessons learned. Andrew Bybee, Principal Program Manager from Microsoft Dynamics CRM, talked about the role of identity in delivering the “the Power of Choice” – the ability for his customers to run his software wherever they want, on premises or in the cloud or in combination, and to offer access to anyone they choose. Venky Veeraraghavan, the Program Manager in charge of identity for SharePoint, talks about what it was like to completely rethink the way identity works in Sharepoint so it takes advantage of the claims based architecture to solve problems that previously had been impossibly difficult. He explores the problems of “Multi-hop” systems and web farms, especially the “Dreaded Second Hop” – which he admits “really, really scares us…” I find his explanation riveting and think any developer of large scale systems will agree. Dmitry Sotnikov, who is Manager of New Product Research at Quest Software, presents a remarkable Azure-based version of a product Quest has previously offered only “on premise”. The service is a backup system for Active Directory, and involved solving a whole set of hard identity problems involving devices and data as well as people. Later in the presentation, while discussing future directions, I announce the Community Technical Preview of our new work on REST-based authorization (a profile of OAuth), and then show the prototype of the mutli-protocol identity selector Mike Jones unveiled at the recent IIW. And finally, I talk for the first time about “System.Identity”, work on user-centric next generation directory that I wanted to take to the community for feedback. I'll be blogging about this a lot and hopefully others from the blogosphere will find time to discuss it with me. I've sometimes been of two minds about OpenID. I've always seen it as alluring because of its simplicity and openness. It seemed perfect for simple web applications. But in my darker moments, I worried about some of the system's usability and security issues. In particular, I was concerned about how easy it would be for an “evil site” to trick users into going to a web site that looks identical to their OpenID provider, convincing them to log in, and then stealing their credentials. If this were to happen, everything that is good about OpenID would turn into something negative. I think many of us involved with the OpenID community came to the same conclusions, but felt that if we kept trying to move adoption forward, we'd be able to figure out how to solve the problems. In the last year, OpenID has without doubt become the most widely adopted system for reusable internet identity. Adoption by destination sites continues to grow dramatically: approximately 50,000 sites as of July 1, 2009. The big Internet properties like Google, Yahoo, AOL, MySpace, and Windows Live have become (or are becoming) OpenID Providers. As a result, the vast majority of the online US population has an account that can be used to log in at the growing number of destination sites. Maybe even more important, some of these sites are of the kind that can quickly change perception and behavior. Most notable is Facebook, which took a huge step forward when it started accepting OpenIDs for login – blowing away the old saw that “no one wants to be a relying party”. Now, the US Government has decided to adopt OpenID as one of the identity protocols for citizen interaction – again, as Relying Party, not Identity Provider. Yesterday at the OpenID Summit hosted by Yahoo, Microsoft's Mike Jones and Ariel Gordon showed some of the work their team has been doing to help figure out how this kind of capability could work. What's cool is that the client they were showing is completely optional – without it, OpenID continues to work as it currently does. But with it, experience improves and the dangers are greatly reduced. I agree with them that demand for a better and safer OpenID user experience will drive selector adoption, which will in turn enable scenarios at higher levels of assurance than are possible with OpenID today. New OpenIDs can be added on the fly, by picking one from a list suggested by the site, or by typing the provider’s URL. Bringing our perceptions together from different organizations with different missions and vantage points is what can make all of this succeed. The partnering is the key. Enhancing Specifications: Microsoft, Facebook, Yahoo. Today, the same prototype was presented to the influential Internet Identity Workshop . I'll add to my growing lis of IOU's a promise to do a screen capture of how the prototype works so everyone can take a look. The success of the Identity Metasystem depends heavily on having products available from multiple vendors that are proven to interoperate and ready to deploy. Kantara Initiative and Liberty Alliance have contributed significantly to this by helping test products against specific profiles. Kudos to everyone involved with the definition, organization and testing of the eGovernment SAML 2.0 profile v1.5. This represents a real step forward given the diversity of products involved. SAN FRANCISCO, Sept. 30 — Kantara Initiative and Liberty Alliance today announced that identity products from Entrust, IBM, Microsoft, Novell, Ping Identity, SAP and Siemens have passed Liberty Interoperable(TM) SAML 2.0 interoperability testing. These vendors participated in the third Liberty Interoperable full-matrix testing event to be administered by the Drummond Group Inc., and the first event to test products against the new eGovernment SAML 2.0 profile v1.5 recently released by Liberty Alliance. Web-based full-matrix testing allows vendors to participate from anywhere in the world and features rigorous processes for ensuring products meet SAML 2.0 interoperability requirements for open, secure and privacy-respecting federated identity management. This year's program featured enhanced SAML 2.0 testing scenarios between Service Provider (SP) and Identity Provider (IdP). The eGovernment SAML 2.0 profile and its requisite test plan have been developed by Liberty Alliance with input from the Danish, New Zealand and US governments. Testing processes for the eGovernment profile included multiple SP logout scenarios, requested authentication context comparisons, and other aspects of SAML 2.0 necessary to meet interoperability, privacy, security and transparency requirements in the global eGovernment sector. A review of the SAML 2.0 v1.5 eGovernment profile is available here. Entrust — Entrust IdentityGuard Federation Module 9.2 is a part of Entrust's versatile authentication platform, supporting numerous authentication methods in one cost-effective solution. Organizations are empowered to choose the right authentication method(s) for their users accessing enterprise, consumer, government or mobile applications. Entrust IdentityGuard includes support for username & password, IP-geolocation, device-ID, questions and answers, out-of-band OTP soft tokens (via voice, SMS, e-mail), grid and eGrid cards, digital certificates and a range of hardware OTP tokens. Entrust IdentityGuard enables rapid deployment, centralized policy management, and an easy integration into the enterprise. Entrust IdentityGuard also includes the ability to apply transaction digital signatures for increased confidence in online transactions. Entrust IdentityGuard serves as a certified SAML 2.0 identity provider, providing standards-based interoperability to organizations. Combined with Entrust's zero-touch fraud detection solution, Entrust IdentityGuard provides a powerful risk-based solution for authenticating users. Entrust — Entrust GetAccess 8.0 delivers a single entry and access point for user authentication and authorization across multiple Web portal applications. The solution delivers full service provider (SP) capabilities and provides organizations with security, flexibility and performance to personalize the user experience of a Web portal through the following key services: flexible authentication, including seamless integration with Entrust IdentityGuard for step-up authentication; proven authentication interoperability via standards such as SAML, Kerberos, X.509 and others; SSO to Web and non-Web applications via SAML; authorization including fine-grained access control to online resources; rich policy management capabilities, allowing controlled access based on environmental considerations (e.g. authentication method used, physical location, TOD, external data sources); centralized session management; personalization of content; integration with leading application and portal vendors; web-based tools for business administration and operational control. IBM — IBM Tivoli® Federated Identity Manager (TFIM) 6.2 provides a full featured web access management solution for managing identity and access to resources that span companies or security domains. 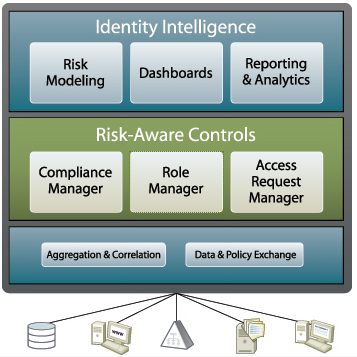 Rather than replicate identity and security administration across companies, Tivoli Federated Identity Manager provides a simple, loosely coupled model for managing trusted identities and providing them with access to information and services including SaaS and cloud-based deployments. For companies deploying Service Oriented Architecture (SOA) and Web Services, TFIM provides a centralized identity mediation services for federated Web services identity management across multiple domains (e.g. Java, .NET and mainframe). TFIM supports the following standards: SAML Protocol 1.0/1.1/2.0, OpenID Authentication 1.1/2.0 – OpenID Simple Registration Extension 1.0, Information Card Profile, WS-Federation Passive Requestor Profile, Liberty ID-FF 1.1/1.2, WS-Trust 1.2/1.3. Microsoft — Microsoft Active Directory Federation Services (AD FS) 2.0 enables Active Directory to be an identity provider in the claims based access platform. AD FS provides end users with a single sign-on experience across applications, platforms and organizations and simplifies identity management for IT Pros. AD FS 2.0 is part of the Windows Server platform, and supports both on-premises and cloud solutions. Novell — Novell Access Manager 3.1 simplifies and safeguards online asset-sharing, helping customers control access to Web-based and traditional business applications. Trusted users gain secure authentication and access to portals, Web-based content and enterprise applications, while IT administrators gain centralized policy-based management of authentication and access privileges. What's more, Novell Access Manager supports a broad range of platforms and directory services, and it's flexible enough to work in even the most complex multi-vendor computing environments. Novell Access Manager makes administration easy. You can use it to centralize access control for all digital resources, and it eliminates the need for multiple software tools at various locations. One access solution fits all applications and information assets. In addition, Novell Access Manager includes support for major federation standards including Security Assertions Markup Language (SAML), WS-Federation and Liberty Alliance. Ping Identity — PingFederate v6.1 is an Internet Identity Security platform that delivers an enterprise-class, scalable, cost effective and standards-based software solution for enabling Internet Single Sign-On, Identity-Enabled Web Services and Internet User Account Management. PingFederate provides a centralized platform for managing all of your external identity connections with customers, Software-as-a-Service (SaaS) and Business Process Outsourcing (BPO) providers, partners, affiliates and others. Your organization can have Internet SSO and Identity-Enabled Web Services connections in days with point and click connection configuration, out-of-the-box integration capabilities, multi-protocol support, and automated user account management. Over 350 enterprises and service providers worldwide base their Internet identity security strategy on PingFederate. SAP — The next release of SAP NetWeaver Identity Management 7.2 is planned for the second quarter 2010. SAP plans to significantly enhance the product with an Identity Provider (IdP) and Secure Token Service (STS) to support web-based Single Sign-On via SAML 2.0 assertions, identity federation and Single Sign-On for web services. The existing features to centrally administrate and provision users — provided by the Identity Center and Virtual Directory Server components — will be extended and allow for integrated scenarios with the IdP. The new IdP and STS will add access management features to the SAP NetWeaver Identity Management and allow the solution to be integrated into an Enterprise Single Sign-On environment reducing TCO and administrative effort. Siemens — DirX Access V8.1 is a comprehensive solution that integrates access management, entitlement management, identity federation, Web services security, and Web Single Sign-on in one single product to protect your web applications and web services from unauthorized use. DirX Access provides for the consistent enforcement of business security policies through external, centralized, policy-based authentication and authorization services, enhances Web user experience through local and federated single sign-on and supports regulatory compliance with audit and reporting both within and across security domains. The ongoing success of the Liberty Interoperable program is demonstrated by the wide scale deployment of SAML 2.0 products and the increasing number of businesses and governments such as the US GSA, now requiring vendors to pass Liberty Alliance testing. With nearly seven years of testing products for true interoperability of identity specifications, Liberty Alliance expects to expand the Liberty Interoperable program within Kantara Initiative to reflect growing momentum for proven interoperable multi-protocol identity solutions. More information about the program, including a list of all vendors who have passed Liberty Alliance testing, is available here. Enterprises and governments are going to be able to do important projects and derive tangible benefits very quickly using this cross-vendor family of products. That's really important. Of course, there's more to identity than browser-based federation… But one of the most encouraging signs is that the same kind of progress we see in the Kantara announcement is being made with the user-centric and privacy-enhancing technologies that many of us are working on to complement the SAML technology. The Proposal for a Common Identity Framework begins by explaining the termnology it uses. This wasn't intended to open up old wounds or provoke ontological debate. We just wanted to reduce ambiguity about what we actually mean to say in the rest of the paper. To do this, we did think very carefully about what we were going to call things, and tried to be very precise about our use of terms. The paper presents its definitions in alphabetical order to faciliate lookup while reading the proposal, but I'll group them differently here to facilitate discussion. Let's start with the series of definitions pertaining to claims. It is key to the document that claims are assertions by one subject about another subject that are “in doubt”. This is a fundamental notion since it leads to an understanding that one of the basic services of a multi-party model must be “Claims Approval”. The simple assumption by systems that assertions are true – in other words the failure to factor out “approval” as a separate service – has lead to conflation and insularity in earlier systems. Claims Approval: The process of evaluating a set of claims associated with a security presentation to produce claims trusted in a specific environment so it can used for automated decision making and/or mapped to an application specific identifier. Claims Selector: A software component that gives the user control over the production and release of sets of claims issued by claims providers. Security Token: A set of claims. Registration: The process through which a primordial claim is associated with a subject so that a claims provider can subsequently issue a set of claims about that subject. Interprets one set of substantive claims and produces a second set (this specialization of a claims provider is called a claims transformer). A claims set produced by a claims provider is not a primordial claim. Claims Transformer: A claims provider that produces one set of substantive claims from another set. To understand this better let's look at what we mean by “primordial” and “substantive” claims. The word “primordial” may seem a strange at first, but its use will be seen to be rewardingly precise: Constituting the beginning or starting point, from which something else is derived or developed, or on which something else depends. (OED) . Primordial Claim: A proof – based on secret(s) and/or biometrics – that only a single subject is able to present to a specific claims provider for the purpose of being recognized and obtaining a set of substantive claims. Substantive claim: A claim produced by a claims provider – as opposed to a primordial claim. Passwords and secret keys are therefore examples of “primordial” claims, whereas SAML tokens and X.509 certificates (with DNs and the like) are examples of substantive claims. Some will say, “Why don't you just use the word ‘credential'”? The answer is simple. We avoided “credential” precisely because people use it to mean both the primordial claim (e.g. a secret key) and the substantive claim (e.g. a certificate or signed statement). This conflation makes it unsuitable for expressing the distinction between primordial and substantive, and this distinction is essential to properly factoring the services in the model. Identity: The fact of being what a person or a thing is, and the characteristics determining this. This definition of identity is quite different from the definition that conflates identity and “identifier” (e.g. kim@foo.bar being called an identity). Without clearing up this confusion, nothing can be understood. Claims are the way of communicating what a person or thing is – different from being that person or thing. An identifier is one possible claim content. Person: an entity recognized by the legal system. In the context of eID, a person who can be digitally identified. Subject: The consumer of a digital service (a digital representation of a natural or juristic person, persona, group, organization, software service or device) described through claims. User: a natural person who is represented by a subject. Relying party: An individual, organization or service that depends on claims issued by a claims provider about a subject to control access to and personalization of a service. Service: A digital entity comprising software, hardware and/or communications channels that interacts with subjects. Abstract services: Architectural components that deliver useful services and can be described through high level goals, structures and behaviors. In practice, these abstract services are refined into concrete service definitions and instantiations. Administrative authority: An organization responsible for the management of an administrative domain. Application Specific Identifier (ASID): An identifier that is used in an application to link a specific subject to data in the application. Security presentation: A set consisting of elements like knowledge of secrets, possession of security devices or aspects of administration which are associated with automated claims approval. These elements derive from technical policy and legal contracts of a chain of administrative domains. Technical Policy: A set of technical parameters constraining the behavior of a digital service and limited to the present tense. User-centric: Structured so as to allow users to conceptualize, enumerate and control their relationships with other parties, including the flow of information. Today I am posting a new paper called, Proposal for a Common Identity Framework: A User-Centric Identity Metasystem. Good news: it doesn’t propose a new protocol! Instead, it attempts to crisply articulate the requirements in creating a privacy-protecting identity layer for the Internet, and sets out a formal model for such a layer, defined through the set of services the layer must provide. The paper is the outcome of a year-long collaboration between Dr. Kai Rannenberg, Dr. Reinhard Posch and myself. We were introduced by Dr. Jacques Bus, Head of Unit Trust and Security in ICT Research at the European Commission. Each of us brought our different cultures, concerns, backgrounds and experiences to the project and we occasionally struggled to understand how our different slices of reality fit together. But it was in those very areas that we ended up with some of the most interesting results. Kai holds the T-Mobile Chair for Mobile Business and Multilateral Security at Goethe University Frankfurt. He coordinates the EU research projects FIDIS (Future of Identity in the Information Society), a multidisciplinary endeavor of 24 leading institutions from research, government, and industry, and PICOS (Privacy and Identity Management for Community Services). He also is Convener of the ISO/IEC Identity Management and Privacy Technology working group (JTC 1/SC 27/WG 5) and Chair of the IFIP Technical Committee 11 “Security and Privacy Protection in Information Processing Systems”. Reinhard taught Information Technology at Graz University beginning in the mid 1970’s, and was Scientific Director of the Austrian Secure Information Technology Center starting in 1999. He has been federal CIO for the Austrian government since 2001, and was elected chair of the management board of ENISA (The European Network and Information Security Agency) in 2007. I invite you to look at our paper. It aims at combining the ideas set out in the Laws of Identity and related papers, extended discussions and blog posts from the open identity community, the formal principles of Information Protection that have evolved in Europe, research on Privacy Enhancing Technologies (PETs), outputs from key working groups and academic conferences, and deep experience with EU government digital identity initiatives. Our work is included in The Future of Identity in the Information Society – a report on research carried out in a number of different EU states on topics like the identification of citizens, ID cards, and Virtual Identities, with an accent on privacy, mobility, interoperability, profiling, forensics, and identity related crime. I’ll be taking up the ideas in our paper in a number of blog posts going forward. My hope is that readers will find the model useful in advancing the way they think about the architecture of their identity systems. I’ll be extremely interested in feedback, as will Reinhard and Kai, who I hope will feel free to join into the conversation as voices independent from my own. The recent European Identity Conference, hosted in Munich by the analyst firm Kuppinger Cole, had great content inspiring an ongoing stream of interesting conversations. Importantly, attendance was up despite the economic climate, an outcome Tim Cole pointed out was predictable since identity technology is so key to efficiency in IT. A great perception. Scary, even. ‘Now, an independent insurance agent can do business with a plethora of carriers who all are competitors. The ideal scenario says that all of the carriers would agree to a common set of claims so as to insure card portability. The first challenge is that the insurance vertical hasn't been truly successful in forming useful standards that are pervasive (NOTE: There is ACORD but it isn't widely implemented) and therefore relying on a particular vertical to self-organize is problematic. This raises the matter of how trust would be concretized within the various verticals. White listing is obviously too cumbersome given the numbers. James proposes an idea that I will paraphrase as follows: use claims transformers run by trusted entities (like state departments of insurance) to vet incoming claims. The idea would be to reuse the authorities already involved in making this kind of decision. He goes on to examine the challenge of figuring out what identity proofing process has actually been used by an identity provider. In a paper I collaborated on recently (I'll be publishing it here soon) we included the proofing and registration processes as one element in a chain of factors we called the “security presentation”. One of the points James makes is that it should be easy to include an explicit statement about the “security presentation” as one element of any claim-set being submitted (see Jame's post for some good examples). Another is that the relying party should be able to include a statement of its security presentation requirements in its policy. ‘1. Microsoft needs to redouble its efforts to sell information cards as a business value proposition where the current pitch is towards a technical audience. It is nice that it will be part of Geneva but this means that its capabilities would be fully leveraged unless it is understood by more than folks who do just infrastructure work. ‘2. Oasis is a wonderful standards organization and can add value as a forum to organize common claims at an industry vertical level. Since identity is not insurance specific, we have to acknowledge that using insurance specific bodies such as ACORD may not be appropriate. I would be game to participate on a working group to generate common claims for the insurance vertical. ‘3. When it comes to developing enterprise applications using the notion of claims, …developers need to do a quick paradigm shift. I can envision a few of us individuals who are also book authors coming up with a book entitled: Thinking in Claims and XACML as there is no guide to help developers understand proper architecture going forward. If such a guide existed, we… (could avoid repeating) …the same mistakes of the past. ‘4. I am wildly convinced that industry analysts are having the wrong conversations around identity. Ask yourself, how many ECM systems have on their 2009 roadmap, the ability to consume a claim? How many BPM systems? In case you haven't figured it out, the answer is a big fat zero. This says that the identity crowd is evangelizing to the wrong demographic. Industry analysts are measuring identity products what consumers really need which is to measure how many existing products can consume new approaches to identity. Does anyone have a clue as to how to get analysts such as Nick Malik, Gerry Gebel, Bob Blakely and others to change the conversation. I know some good work to formalize various aspects of the “security presentation” has been going on in one of the Liberty Alliance working groups – perhaps someone involved could post about the progress that has been made an how it ties in to some of James’ action items. James’ action items are all good. I buy his point that Microsoft needs to take claims beyond the current “infrastructure” community – though I still see the participation of this community as absolutely key. But we need – as an industry and as individual companies – to widen the discussion and start figuring out how claims can be used in concrete verticals. As we do this, I expect to see many players, with very strong participation from Microsoft, taking the new paradigm to the “business people” who will really benefit from the technology. When Geneva is released to manufacturing later this year, it will be seen as a fundamental part of Active Directory and the Windows platform. I expect that many programs will then start to kick in that turn up the temperature along the lines James proposes. My only caution with respect to James’ argument is that I hope we can keep requirements simple in the first go-around. I don't think ALL the capabilities of claims have to be delivered “simultaneously”, though I think it is essential for architects like James to understand them and build our current deliverables in light of them.